More U.S. consumers expect current mortgage rates to rise into 2017. According to Fannie Mae’s most recent National Housing Survey, 50 percent of consumers think mortgage rates will rise over the next 12 months. The survey, which covers 1,000 households, measures changing consumer attitudes toward mortgages and housing nationwide. Attitudes have shifted surprisingly since a few months ago. In July 2016, fifty-seven percent of respondents said low rates would hold steady or fall. That month, the other 43 percent “got it right” by predicting higher rates. Early in November, rates had their worst day in 3 years following an unprecedented election cycle. But it’s not all doom and gloom. NSH Mortgage has studied the incline and decline of mortgage rates. Consumers are predicting that higher mortgage rates in 2017 will become constant. Thirty-year mortgage rates are still down since the start of the year, and the worst volatility may be behind us. The nationwide average 30-year mortgage rate still remains below 4% nationwide, on average, according to mortgage agency Freddie Mac. Rate-favorable news, both domestic and foreign, could temper higher home costs going forward. More than 8 million homeowners are potentially eligible to refinance, and households that choose to do so will save more than $5 billion collectively between now and next year. Sixteen weeks. That’s how long 30-year mortgage rates remained at or below 3.5% in 2016. That happened only once before: from September 2012 to May 2013. That 19-week winning streak marked the longest, lowest stretch in history for mortgage rates. Rates were three weeks shy of matching that record this year. In October, though, rates rose to 3.52% nationwide according to Freddie Mac, and have trended higher. Upward pressure keeps mounting. The presidential election had an outsize effect on rates. Now President-elect Donald Trump took home a shocking victory, which, at first, was expected to send markets tumbling, taking mortgage rates with them. Instead, markets recovered quickly, and rates rose to 7-month highs. If that weren’t enough, the Fed is all but certain to raise its benchmark rate at its December meeting. Plus, inflation is on the rise. There seems to be few pieces of good news for mortgage rates, and consumers are taking notice. Should home buying and refinancing consumers lock now? It could prove wise. Rates are still low, despite recent increases. And rates are not the the only thing on the rise. Rents are up across the U.S., hitting unprecedented levels. Low mortgage rates are not the only thing spurring renters to become homeowners. Rising rental prices — and what it costs to move into a rental unit — are making the relative cost of owning a home lower each day. 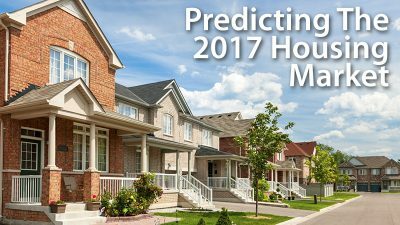 The housing market may pick up even quicker than expected heading forward, with higher mortgage rates in 2017 being predicted. According to Fannie Mae, 90 percent of consumers think home prices will rise or hold steady this year. But rising home prices are not distinguishing renters’ desire to buy. Quite the opposite. Consumers expect home prices to rise at least 2% over the next twelve months. A $300,000 home will be worth six thousand dollars more one year from now, say survey respondents. That’s one incentive to buy now. The other is the amount consumers expect rent to increase: 3.9% over the next year. Renters can either be on the winning or losing side of rising costs. According to Fannie Mae’s survey, they are choosing to win. Sixty-seven percent of consumers say they would buy instead of rent, if they had to move today. That could be a wise choice. Home sales remain near their strongest levels in eight years and home supply is scarce. Mortgage rates are still at historical lows, and demand is expected to remain strong. Existing homeowners aren’t the only ones benefiting from low rates. Home buyers are getting into homes for less money per month than they pay for rent. Low rates are increasing home affordability for first-time home buyers. Maybe you’ve been thinking about buying a home, too. After all, the market looks ripe. Mortgage rates are low, rents are rising nationwide, and mortgage lenders are approving more loans. Furthermore, there’s an abundance of low- and no-down payment mortgage loans for first-time home buyers and repeat buyers alike. Among the most common low-downpayment mortgage options is the Conventional 97, which has a three percent downpayment requirement, and which allows downpayment funds to come from a gift. Mortgage rates for the Conventional 97 are best for borrowers with strong credit. For buyers with lower credit scores, the FHA program is a low-cost and flexible option. But FHA is not only for buyers with lower credit scores. Nearly 40 percent of all home buyers under the age of 37 — within any credit tier — select FHA. The FHA home loan requires just 3.5 percent down, and that downpayment can come from a gift, or even an approved downpayment assistance program. FHA allows homes with up to four units (e.g. a duplex, triplex, or four-plex) and the program allows a buyer to have its closing costs paid by the seller. The HomeReady™ mortgage is another low-down payment option, allowing a down payment of just three percent for qualified buyers. HomeReady™ is generally reserved for low-to-moderate income households, but the program can be used by anyone. Today’s home buyers have several no-money-down options, too. The VA loan is one such loan, available to military borrowers and surviving spouses. The advantages of a VA loan are many, including the lack of mortgage insurance, and the fact that VA loans are assumable, which means that future home buyers may be eligible to “assume” your home’s existing mortgage rate. Loan types such as the VA and FHA help consumers when they see predictions of higher mortgage rates in 2017. In a rising mortgage rate world, assumable loans can be a giant sales benefit. Another zero down payment loan is the USDA loan. Available in less-densely populated neighborhoods, the USDA loan allows for 100% financing and very low rates of mortgage insurance. USDA mortgages are available as 30-year, fixed-rate home loans only. Lastly, via down payment assistance programs, home buyers can receive a cash grant to cover their traditional home downpayment. Such programs don’t always require repayment, either. In many cases, you’re only required to maintain your residence for a period of up to 5 years. At least half of consumers think there will be higher mortgage rates in 2017. No one can predict what will actually happen, but today’s mortgage rate market is still ripe with deals. NSH Mortgage is your leading Florida mortgage lender, and can help answer any questions when it comes to the prediction of higher mortgage rates in 2017.